Affected by Wednesday’s recall are over 20 different Volkswagen models imported or manufactured in China between December 2008 and March 2013. According to Volkswagen AG, affected vehicles may suffer from a gearbox issue that might cause loss of power. The German automaker indicated that the recall does not affect steering or braking functions, therefore drivers should be able to maneuver the vehicle to a stop in the event of acceleration loss. 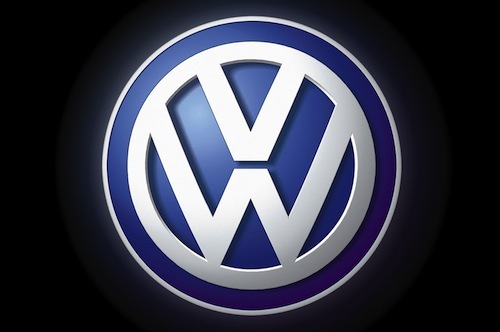 Nevertheless, the recall poses safety concerns to all owners of affected Volkswagen cars, SUVs and minivans. Today’s recall affects 21 models including versions of the Scirocco, Bora, Touran, Octavia and Passat. Although similar models are sold elsewhere around the world, the recall only affects vehicles in China and Southeast Asia due to the hot, humid climates in the region. It's Volkswagen’s biggest ever recall in China. Volkswagen has not released a specific recall schedule, but did state that it would repair gearboxes and install the latest software updates on affected vehicles, free of charge. Volkswagen’s gearbox recall stems from an investigation conducted by China’s quality regulator, which interviewed more than 3,000 consumers and received over 10,000 complaint reports. China’s quality authorities also conducted 12 spot checks and held 7 hearing with automotive experts before concluding that Volkswagen’s gearboxes were defective. Despite widespread complaints, there have been no reports of injuries or crashes, according to Volkswagen. According to a series laws introduced earlier this year, China’s safety regulator now possesses a broader range of powers to order investigations and impose fines on company’s that fail to report recalls in a timely fashion. Aside from automotive oversight, China also expanded the authority of food and drug regulators last week. The German automaker sold 2.8 million vehicles in China last year, making it the company’s biggest market. In fact, Volkswagen sold 4 of China’s 10 top selling cars in 2012. The strong sales gave the company a 14 percent share on the market in 2012 and generated more than $4.8 billion in profits. According to Bloomberg News, Volkswagen’s 2013 profits will likely suffer, because the recall will cost the automaker more than $600 million. While today’s recall may be Volkswagen’s largest ever in China, it pales in comparison to the automaker’s 1972 windshield wiper recall, which involved 3.7 million model year 1949 through 1969 Volkswagen Beetle cars. The massive 1972 recall is tied for the ninth largest automotive recall of all time.